So Toyota dumped info on another set of new powertrains, and it looks like they got to 40% thermal efficiency again. This one’s a 2.0, and it’s basically the same idea as the 2.5 in the new Camry, just smaller. So, direct plus port injection, very long stroke, laser-cladded valve seats, all that fun stuff. The non-hybrid version is 40% efficient, and 169 hp @ 6600 RPM, 151 lb-ft @ 4800 RPM. 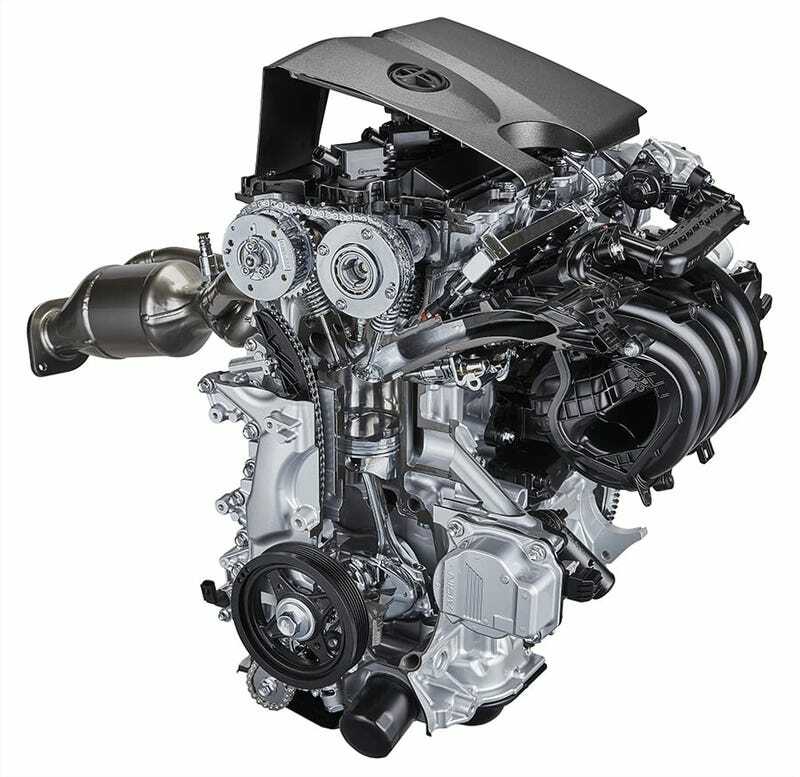 The hybrid version is 41% efficient, and 143 hp @ 6000 RPM, 133 lb-ft @ 4400 RPM. It looks like all of this is destined for the new Auris - including a new CVT with a launch gear (to bypass the CVT for higher efficiency in stop-and-go traffic, apparently), a new lighter-weight manual transmission with software rev matching (interestingly, they claim it rev matches upshifts, too, implying that rev hang isn’t an issue), and a hybrid system. Some specs indicate that we’ll be getting some of this in the Corolla, too, and there’s also discussion of AWD systems likely intended for crossovers.